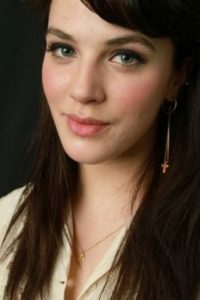 Jessica Rose Brown Findlay, born September 14, 1989, is an English actress, best known for playing Lady Sybil Crawley in the ITV series Downton Abbey and Emelia Conan-Doyle in the British comedy-drama film Albatross. Jessica was born in Cookham, Berkshire, the daughter of Beverley, a teacher’s assistant and nurse, and Christopher Brown-Findlay, who works as a financial advisor. She belongs to Scottish and English descent. She attended Furze Platt Senior School in Maidenhead. She attended The Central Saint Martins for the Arts. *She has Scottish and English ancestry. *Her mother was a teacher’s assistant, and her father was a financial adviser. *She was the first person in her family to go to the university. *She has a fetish for rings and often wears multiple rings on each finger.